"Work life balance" is a buzz word. The idea that success is about "finding balance" is as flawed as it is dangerous. It's time to redefine what it means to you by focusing on your own perspective and priorities. The truth is, the only thing we have to do in this world, is die. But so many of us complain that we have to work long hours. We have to miss our daughter’s first day of school. We can’t go on vacation this year because we have a big project due. And we definitely don’t have time to fit in a workout into our day! But in reality, we are making those choices for ourselves. We’re choosing work over family. We’re choosing hours in the office over hours on the beach, and we’re choosing anything but heading to the gym and getting a good workout in. The real question we need to ask ourselves is not how do I get a better work life balance. It’s why am I making the choices I’m making; and am I happy with them. 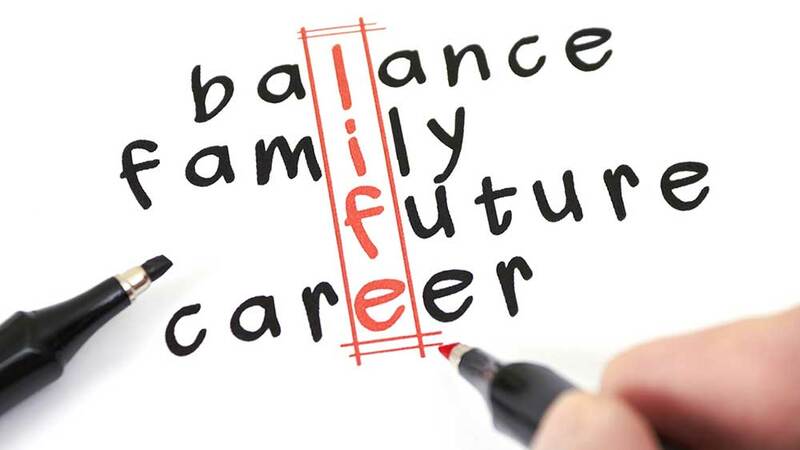 Do you really need a better work life balance? Or in actual fact, are you perfectly happy working 60+ hours per week? Are you motivated to go beyond what you would in a similar role somewhere else? Maybe you choose to work long hours because you feel more sense of purpose when you work all weekend to hit a hard deadline than you do watching your kids sports game from the sideline. Or maybe the reason you work such long hours is a much more complex one, one that you’ve been pushing down from the surface for years… Maybe you’re not happy at home so you’re avoiding being there? Both scenarios are difficult to admit to. But unfortunately, that’s the reality for many people. They deny their true feelings which prevents them from living the life they truly seek. “I need to get a better work life balance”. A statement with no substance behind it. No intent to turn into reality. Fear from family members that they’re not good enough to capture the attention and affection of the career-driven individual. The same HubSpot study says that 1 in 2 people have been told by friends and family that they work too much. Fear from the career-driven individual that they will be penalized or judged for not wanting to spend more time at home instead of the office. Fear that relationships will break down. Fear of judgement. Fear of being different. It all comes back to our innate desire to be accepted as human beings. But to be wildly successful in your career, you can’t just blend in with the crowd. You need to do things differently from everybody else. You need to have different priorities. Let’s assume you’re choosing to work long hours because you’re a business owner. Should you feel like less of a person because you prefer to spend your evenings and weekends following your passion and growing your business rather than being on the golf course with friends? Why then is it OK for people to have hobbies but it’s not OK for that hobby to be the same thing that pays your bills? What if your work is your passion? What if that’s all you ever want to do because that’s what makes you happy? Are we to pretend otherwise so that we fit into the social norm of having a good work life balance? Will we ever be truly fulfilled in life if we are denied the time to pursue our passions? Not unless you consciously make the right decisions for you and stand by them when society challenges you. We need to uncover what we truly want; what undeniably makes us happy before we will ever feel fulfilled with our lives. If we don’t know what we want, we can never achieve it. I love traveling, so do most other people. According to the study 82% of people would like to travel if they had more free time. We need to stop judging others for their life choices. What makes one person happy doesn’t necessarily make another happy so who are we to say what people should be doing with their time? But be painfully self-aware of how you’re living your life. Are you happy with your choices? If the answer is no, it’s on you to change your path and make better decisions. If the answer is yes, good for you! Continue to chase your dreams and do what’s right for you. Don’t let anyone else’s opinions on what a good “work life balance” is shape the decisions you make.